With a wealth of entertainment and delicious traditional fare, as well as luxury accommodation and attentive service, Christmas hotel breaks simply do not come better than this. Here is a glimpse of what lies ahead on your Christmas hotel break at the Imperial Hotel. Bonus: Why not extend your stay with extra nights starting from just £75 per person per night (Dinner, Bed and Breakfast)? Please call our friendly reception team on 01271 345861 for more details or if you would like to book. From £135 per person per night. Prices are based on two people sharing a Standard Room based on a 4-night stay. Single occupancy will incur the charge of two people when occupying rooms other than singles. We require a deposit of 25% by 30th June 2019 and full payment will be due by the 30th November 2019. In the event of cancelling your holiday, we must receive notification in writing. Cancellation charges will be notified to you by invoice. We regret that we are unable to make any exceptions. Period of notification charged as a % of holiday costs. 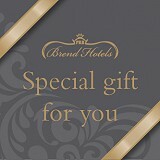 The Brend Hotel cancellation insurance scheme is not available during this period. In the event of possible cancellations, we strongly advise that you take out a separate insurance policy.